By Circular No 155/2013 dated 10 July 2013, the Small Firms Committee of the Bar Council requested feedback from members on the draft Legal Profession (Group Practice) Rules 2013 (“Proposed GPR”). The Proposed GPR, when implemented, would introduce the “group practice” model to Malaysian law firms. Unfortunately, the draft Proposed GPR that was circulated was unsatisfactory for several reasons. 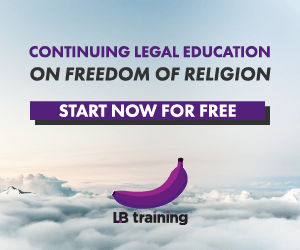 On 29 July 2013, a group of members of the Malaysian Bar (who are also LoyarBurokkers) submitted a memorandum to the Bar Council, setting out their comments on the current draft of the Proposed GPR. To read the memorandum in PDF format, click here. 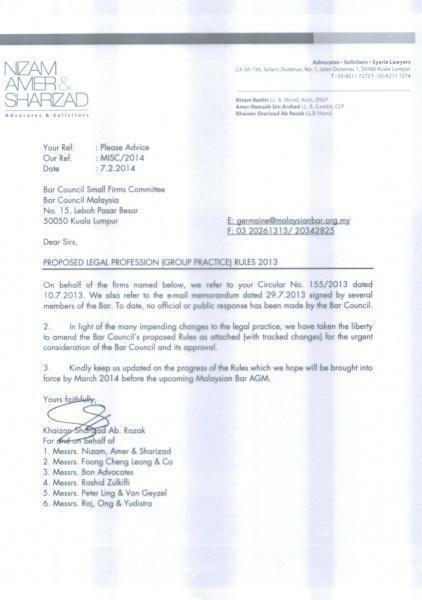 More than six months after that memorandum, the Bar Council has not issued a revised draft. To expedite the process and assist the Bar Council, another group of small law firms (some of whom are also LoyarBurokkers) have revised the draft Proposed GPR for them. This updated draft was submitted via a letter on 7 February 2014, and can be viewed here.